Riyadh, May 25th– Tourism’s contribution to Saudi Arabia’s GDP in 2011 was over 7.2 percent, and the sector employed 670,000 staff – with 26 per cent Saudisation. As per the latest report by Saudi Commission for Tourism and Antiquities (SCTA), Saudi Arabia is expected to receive 88 million visitors by 2020 with religious tourism alone accounting for around 16 million travellers by 2014. 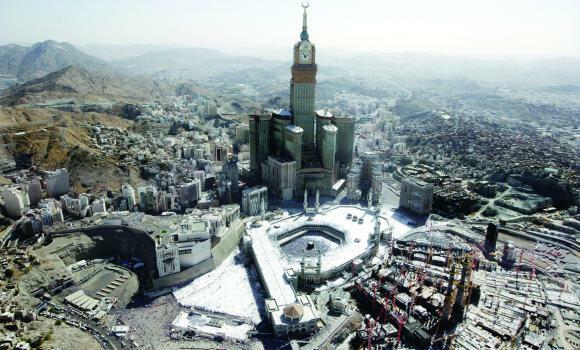 These predictions have led to a growth in the number of hotel rooms to be built in the Makkah region. Many hotel development companies are announcing their projects – including Abdul Latif Jameel Real Estate Investment Company – which is investing US$ 3.2 billion, making it a major hospitality development project in Makkah expected to provide 8,500 rooms. The Kingdom Hotel Expansion Summit, themed ‘harnessing a thriving future for the Saudi hospitality industry’ and being organised by leading French business information firm naseba, commences tomorrow in Riyadh to address the Kingdom’s increasing tourism requirements. Several hospitality solution providers including IDIS, Schneider Electric and Philips are delivering keynote presentations on innovative and upcoming products. Tomorrow’s first session discusses the hospitality industry outlook with an opening panel discussion on how hospitality can act as a foundation for economic growth and how businesses are embracing this change. The discussion involves detailed viewpoints from the perspectives of government, owner and operator. Many hoteliers, including Hilton and Nobu hospitality, are expected to announce the details of their upcoming projects in several press conferences being organised in conjunction with this initiative. Christophe Landais added “we have five committed properties in the pipeline: ibis Riyadh Olaya Street (2012), ibis Yanbu (2013), ibis Jeddah Malik Road (2014), Adagio Jeddah Malik Road (2014) and Novotel Jizan (2015). The Saudi market continues to be an important market … and we are fully supportive of Saudi Arabia’s travel, tourism and hospitality industry”. The two-day summit will take place on May 26thand 27that the InterContinental Hotel in Riyadh, Saudi Arabia.